We have a “no audition” policy and welcome new members of all ages, voices, and abilities. Just come along and sing in a couple of rehearsals, before deciding whether you’d like to join. Alternatively, contact our membership secretary, who will be happy to answer any queries you may have or fill in and submit the application form. 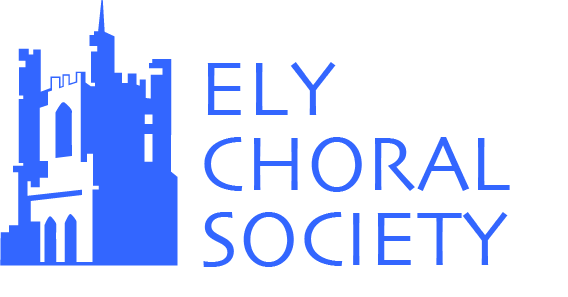 We rehearse at St John’s Community Primary School, St John’s Road, Ely, CB6 3BW on Monday evenings from 7.30 – 9.30 pm within school term time and there is a rehearsal on the morning or afternoon on the day of each concert. See the Members page for dates. Our membership annual fee is £96, with a 50% reduction for students. It does not include the cost of hiring scores, for which there is an additional charge each term. This changes depending on the scores hired, but typically ranges between £2.50 – £7.00 per term. There are “practice files” available online for most of the pieces we do, so you don’t have to be able to read music to sing with us, but obviously it helps if you can. Who Can Sing in the Concert? You must have attended enough rehearsals for our Musical Director to feel confident you can sing well in the concert. Attendance on the day of the concert rehearsal with the orchestra is obligatory. If you would like to join us, or come along for a “taster” session, please fill in and submit the application form and we will be in touch with you.